Sensitive gums and sensitive teeth can be extremely uncomfortable. It’s important to understand the differences between sensitive gums and sensitive teeth. Once you determine which type of pain you have, you can begin to alleviate the discomfort. Gum sensitivity is often caused by gingivitis. Gingivitis is the earliest stage of gum disease. Due to poor oral hygiene, plague begins to build up along the gum line. This plaque causes discomfort. It usually includes swollen or tender gums, bad breath, and gums that bleed easily. As gingivitis advances, it may lead to gum recession. Other common causes of gum sensitivity include diabetes, misaligned teeth, pregnancy, and tobacco use. If you’re experiencing pain in or around your gums, it is important to speak with your dentist. They can help determine the exact cause and determine the best course of treatment. 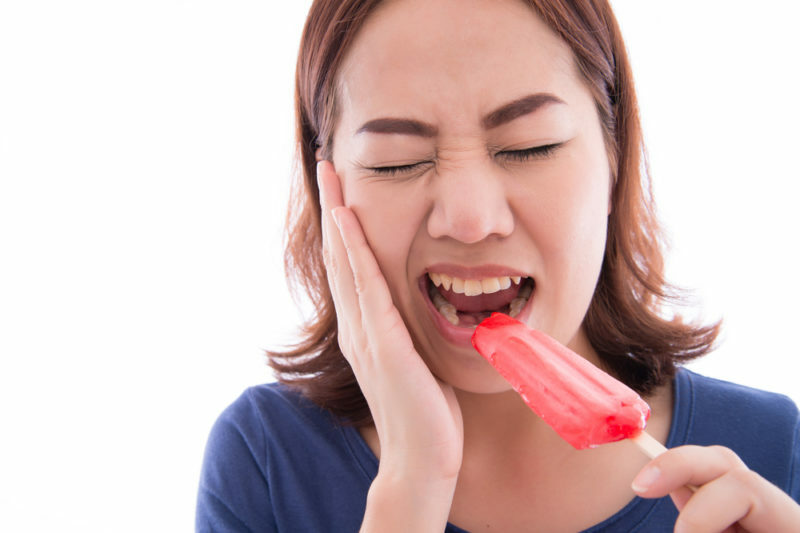 Tooth sensitivity can be uncomfortable and make day-to-day life miserable. You may experience pain while brushing or flossing your teeth, when eating or drinking something cold or hot. In some cases, acidic or sweet foods may also cause pain. Tooth sensitivity is often a result of cavities, tooth fractures, worn tooth enamel, exposed dentin, and even gum disease. Other causes of tooth sensitivity include teeth grinding, over brushing, and in extreme cases, the over use of mouthwash, which can expose the nerves of the teeth. Tooth pain should not be ignored. If you feel any sensitivity, it is best to make an appointment with your dentist. Catching and treating tooth and gum sensitivity early on can save you a lot of trouble in the future. In most cases, simply updating and enhancing your regular, home dental care routine, can help prevent and ease any pain. For sensitive gums, it’s important to floss regularly and eat a healthy diet. For sensitive teeth, your dentist may recommend a desensitizing toothpaste among other things. If left untreated, sensitive gums and sensitive teeth can lead to more major oral health problems.